The first time we asked for something a Christmas was usually on Santa’s lap. We might not remember what that first gift was but there is no doubt photographic evidence of that trip. The older we get the demands for Christmas presents diminish. In a way, we become better gift givers than gift receivers. This year, you have the opportunity to provide a very unique gift for someone special in your life. That would be the gift of no rubbish for Christmas. This doesn’t mean you are going to avoid wrapping up the present that nobody wants. But instead the “no rubbish” means a rubbish removal session from Junk King Hudson Valley. Do you know someone who could benefit from that kind of service? Every appointment set up by Junk King is staffed by two movers. Right out of the box, you can see where this type of help makes a huge difference. There are some so-called professional junk haulers who have no problem picking up your stuff provided you bring it down to the curve. If it was that easy you probably would’ve gotten rid of it by now. That special someone in your life who doesn’t have a truck or movers might have been stuck with a lot of things like old sofas, chairs, tables, bedroom sets and broken appliances in their homes because there’s no other way to get rid of them. Now there is an you will be very happy at how fast it all happen. 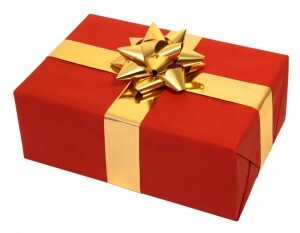 You don’t have to wait for Christmas to give the gift of no rubbish from Junk King. You can set up the appointment with the recipient today. As long as they know what they want to get rid of the Junk King crew will move very swiftly to make that happen. Usually they complete assignments within 24 hours of that first contact. Before the crew fills up the truck, you’ll be able to work out the final price and that will be based upon how your stuff will fit onto the truck. It’s a very fair and affordable approach for this kind of service. A rubbish removal gift from Junk King Hudson Valley can have a big impact in someone’s life this Christmas. Are you ready to book that session today? This entry was posted in Hudson Valley Junk Removal and tagged Christmas, Junk King, junk removal, rubbish on November 30, 2018 by Junk King. Last updated November 30, 2018 . The fact that we are a flexible company always putting our customer’s needs first. That’s why we have a variety of different flexible payment options for you to choose from. With several different options, we are sure that you will find one that’s the perfect fit for your budget and needs. Remember that our Hudson Valley – Garage Cleanout services are also insured. There’s no risk to you when you phone us to come and clean up the junk in your garage. We even have an eco-friendly service that makes sure your electronic waste goes to the proper location. Making sure that your carbon footprint is as small as possible is one of the priorities we have. One of the other things that put us head and shoulders above the competition is the fact that we make a big effort to stay on schedule. Our disposal teams understand all too well that you might need your garage for a remodel or have a new use for space. That’s why we maintain an outstanding reputation for hauling away your junk on time. In fact, we will even call you 15 to 30 minutes beforehand on the day to tell you we are on our way. We have a variety of different services including a foreclosure clean out department. It’s important that your house looks as good as it possibly can whether it’s a rental or you own the property and are putting it up for sale. When it comes to the garage, we can make sure that all debris like appliances and carpets, as well as furniture, get removed quickly and efficiently. Getting us to your location is easy and quick. All you need to do to get started is give us a call or book an appointment online. You’ll get a free estimate that makes everything clear and will even call you 15 minutes before we arrive. Remember, we are specialists who look after a variety of your junk removal needs. Our Hudson Valley – Garage Cleanout services are at the top of that list. This entry was posted in Uncategorized on November 27, 2018 by Junk King. Last updated November 27, 2018 . There is certainly a lot more lights turned on during the holidays. All across New Rochelle folks are stringing up lights around the outside of their homes, along fences and around trees. There are also all the Christmas lights that go on Christmas tree. The few extra dollars spent on the power bill for the month of December is well worth it. 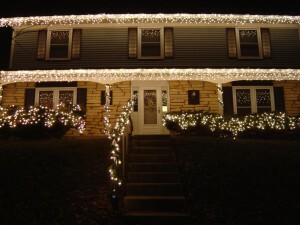 Before you start stringing up any lights you will want to make sure the yards and the home is ready and that could mean getting rid of some unwanted junk. That’s where Junk King Hudson Valley can be a big boost for your holiday preparation. When you call Junk King to set up your appointment, you’ll be asked to pick a day and a two-hour window that works best for your calendar. Junk King knows how busy this time of year is and wants to do everything in its power to accommodate your schedule. That two hours that you’re asked to set aside probably won’t be taken up by the actual work provided by Junk King. Most of that time will be spent going from one appointment to the next. 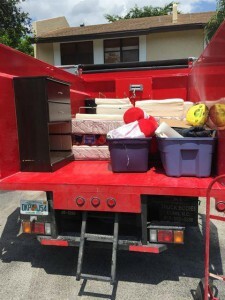 Junk King’s goal is to get in and out of your home with all your stuff loaded onto the truck as quickly as possible. You’ll help this effort by having everything sorted before the crew shows up. That way they can grab and go and you can get back to your day. As for what the junk and crew can take away, there is no limit with regard to size or weight. They can just as easily all out a sectional sofa as they can an old television or even a hot tub. Outside the house, the Junk King crews can also pick up all the assorted yard rubbish and debris that has accumulated in the last several months. You definitely don’t want any of that lingering around when the holiday decorations go up. Your holidays will feel very merry and bright when you are living in a junk free home. Junk King Hudson Valley can help make that happen with one session. This entry was posted in Hudson Valley Junk Removal and tagged holidays, Junk King, junk removal on November 24, 2018 by Junk King. Last updated November 24, 2018 . How many trips do you make up to your attic each year? At a minimum it is four trips to bring up and down the Halloween and Christmas decorations. In between, you might transfer items from a closet or garage up to the attic just to “get it out of the way.” The problem with that is that you’re going to eventually fill up your attic with a lot of stuff you’re never going to use again. That’s going to make bringing down the things you do use a lot harder. Is it time to get the attic cleared out? Then it is time to bring in Junk King Hudson Valley. These are the junk hauling pros who can make a big difference around your attic. 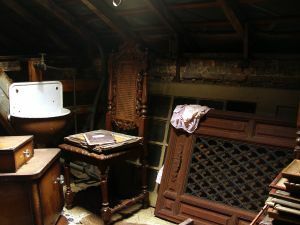 Before the Junk King squad shows up, you are going to want to dedicate some time to sorting through all the boxes you have in storage of the attic. This might actually be a good thing as you discover a lot of items that you forgot you had. Maybe there will be some keepsakes that you want to bring downstairs and put want to display. Everything else can be left right where it is. When the Junk King crew shows up can bring them to the attic and point out all the things that you want taken away. You’ll be amazed at how quickly the team from Junk King will get all of that stuff out of the attic and onto the truck. As long as you have the two movers and that big truck there’s no reason why you can’t get unwanted items cleared from the rest of your house. This is a perfect opportunity to get the home ready for out-of-town guests that might be coming over for the holidays. How quickly do you want all that stuff removed from your attic? If you know what you want removed, then you can call Junk King today and possibly get a same day pickup appointment. Getting all the rubbish cleared out of your attic has never been easier thanks to help provided by Junk King Hudson Valley. This entry was posted in Hudson Valley Junk Removal and tagged attic, Junk King, junk removal on October 31, 2018 by Junk King. Last updated November 1, 2018 . The Hudson Valley is a wonderful place to explore in the fall. It also is the perfect destination for Halloween. After all, this is where the legend of the Headless Horseman was born. Would you ever dare to go out in the woods on Halloween night? 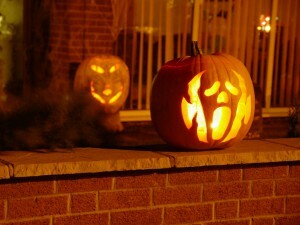 It’s probably better to stick around your home and take in all the scary sights set up on your neighbors lawns. When Halloween is over, it will be time to shift gears into more “friendly” kinds of decorations. In order to get your home ready, you’ll want to get all your scary rubbish cleared away. That is easy to accomplish when you partner up with Junk King Hudson Valley. You call Junk King to set up your appointment. The crew arrives. You show them what you want removed. They quickly and efficiently whisk it all out of your home and onto their truck. Mission accomplished. Yes, it really is that simple. Here’s what you should keep in mind. The crew from Junk King is going to do all the heavy lifting. That means any object, regardless of weight or size, can be carried out of your home. The cost is a flat fee that is determined by the crew before the work begins. They’ll estimate how tightly everything can be packed on the truck. The less space for your junk, the lower price you’ll pay. What about the disposal? That is something you don’t have to think twice about. Just know that Junk King is dedicated to an eco-friendly building practice that is all about recycling and donating. Are you ready to get rid of your scary rubbish? Then you’re ready to put Junk King Hudson Valley on the job. This entry was posted in Hudson Valley Junk Removal and tagged Junk King, junk removal, rubbish on October 23, 2018 by Junk King. Last updated October 23, 2018 . You probably know that New York has a ban on e-waste being put out in the trash. Anything that you want to get rid of that is powered by electricity now has to be disposed of at a certified recycling center. On the list of things like an old computer, monitor, DVD player or printer would also be an old AC. That might be a bit of a challenge to dispose of the right way unless you bring Junk King Hudson Valley in on the job from the jump. Junk King has a strong reputation for their recycling work. They don’t actually handle the dismantling and sorting of e-waste and old AC units but they make every effort to get those items to the right place. Some of that work is done locally while other companies become a conduit for shipping out e-waste. Either way, once you turn it over to Junk King you can count on it being disposed of in a responsible manner. You should also keep in mind that Junk King provides the necessary manpower to get an old AC unit safely out of your home. Carrying an item like that down flights of stairs can be tricky if you don’t have the experience and that is exactly what Junk King is bring to every session. You’ll be assigned two movers who will do the heavy lifting and loading onto the truck. Could you carry out an old AC on your own? Of course not! That’s what Junk King is for. Once of the truck, that AC unit might look rather small. Fortunately, you can continue to use the crew from Junk King to haul away any other unwanted item from your home. There will be room for a sectional sofa, table, chairs, book shelves and baby furniture. What would happen to your home if all of that stuff was finally hauled away? It could make a big different from your basement to your attic. Let Junk King Hudson Valley start by removing your old AC and end with your home totally clear of rubbish. Make it happen today. This entry was posted in Hudson Valley Junk Removal and tagged Junk King, junk removal, old ac on September 30, 2018 by Junk King. Last updated September 30, 2018 . Can you add up the amount of meals your stove has cooked over the years? What about the number of laundry loads that have gone through your washer and dryer? And there is no end to the amount of food that has come and gone from your fridge. Kitchen appliances certainly get a work out through the years and it’s a wonder they last as long as they do. When it is time to replace them, you’ll want to schedule it so that the new appliances show up within hours of the old appliances being carted away. Junk King Hudson Valley can help with the removal phase of this mission. On any given week, the teams from Junk King will be asked to cart off all manner of kitchen appliances from the big refrigerators to the small microwaves. They know how to unhook dryers and dishwashers. They also know how to get those bulky items out of the house without scratching up the floors. 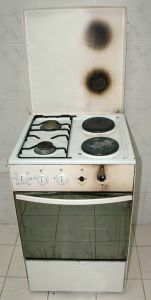 All of this experience will be brought into your home for your old appliance removal request. That is experience that matters. Regardless of how much it weighs, a single kitchen appliance won’t take up a lot of room on the Junk King truck. You could just have that single piece carted off by Junk King and leave it at that. You could also take full advantage of having two movers at your disposal to get at the rest of your unwanted items that might not be in the kitchen. The Junk King team won’t have a problem going down into the basement to bring up old furniture. They’ll be happy to go upstairs to bring down the clutter from the closet. You can see what a difference this kind of help can be but they don’t have to stop at the inside of the house. If you’re looking to get your yards ready for fall by clearing out some objects like a crusty grill or rusty patio furniture, then you can count on Junk King to handle that removal, too. Call Junk King Hudson Valley today for old appliance removal and end up with a home that is totally junk free. Perfection! This entry was posted in Hudson Valley Junk Removal and tagged appliance removal, junk hauling, Junk King on September 18, 2018 by Junk King. Last updated September 18, 2018 . Preschoolers have a lot of cute options for backpacks but they’re not always practical. They need to hold a sweater, hat, gloves and the lunch box. Make sure there is room. As for the older kids, they might seem uninterested in school supplies but if you pick out the wrong color folder it will be “drama.” Get them involved with a trip to the office supply store. You should also plan ahead to make sure everyone’s rain and winter gear still fits. Don’t wait for the first storm to realize there are no boots or umbrellas in the house. You’ll be telling that to your kids but there is some level of the homework that you need to do as well. The more you can familiarize yourself with the course and text book, the better off you’ll be in a position to help your kids with their assignments. It also helps to set up a consistent time for homework and a dedicated “zone” to get the work done. If you start off with good study habits early on, then those habits will carry through up to college. That means not letting the kids be distracted or procrastinate. They have to expect their work is going to be checked. That will keep them focused. Up in the kid’s room, there are probably a lot of things that can be gotten rid of. How many articles of clothing did they outgrow this year? They might have even outgrown their bed. One kid can generate a whole pile of things to toss. More kids and you can imagine how big things will get. When that happens, it is time to bring in Junk King Hudson Valley. It will only take one fast session with the team from Junk King to get all that clutter gone from the house. 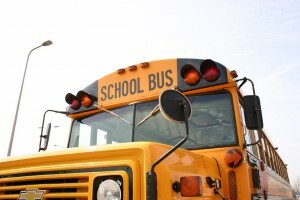 Turn to Junk King Hudson Valley for a decluttering appointment to help you get back into the school routine. This entry was posted in Hudson Valley Junk Removal and tagged clutter, Junk King, school on August 31, 2018 by Junk King. Last updated August 31, 2018 . The most important quality for first-time homebuyers to embrace is patience. If you have a target date of when you’d like to move, then you should start looking three to four months before that date. Unless you’re headed out with an all-cash offer, you’re going to find yourself looking at a lot of homes, making offers, having offers passed on and starting the process all over. Even after an offer is accepted, there is the waiting period of escrow while all the paperwork is sorted through. Anxious times to be sure and that’s what a little patience can go a long way. Even though this might be your first home, you still can trust your instincts with regard to the selection and offers you make. 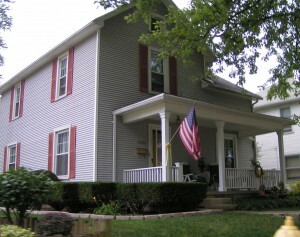 If you feel that a home is out of your price-range budget, then it probably is. On the other hand, if you find a home that ticks off all the items on your “must have” list, then move on it. Buying a home is not a time for second guessing. This is a harsh truth: The moment you close on a home, you’ll probably see another home for sell that you like even more. Guess what? It doesn’t matter. You have your home now and you can make it into whatever you want it to be. Smart advice: Once you’ve made an offer and it has been accepted, stop looking. A new home is all about new beginnings. You have the chance to make new friends and decorate your home from top to bottom. Just don’t bring your old junk into your new home. When packing, tag all those things you can live without and then give Junk King Hudson Valley a call. These are the junk hauling pros who can help you clear out all the stuff you don’t want to bring with you. They’ll even see that it gets donated or recycled. First-time homebuyers should work with Junk Hudson Valley to haul away old clutter and start fresh in a new home. This entry was posted in Hudson Valley Junk Removal and tagged first-time homebuyers, Junk King, junk removal on August 24, 2018 by Junk King. Last updated August 24, 2018 . Gold is often associated with “the best.” You get a gold statue from the Oscars and a gold medal from the Olympics. If something is deemed “golden,” then you know it is superior to all the rest. 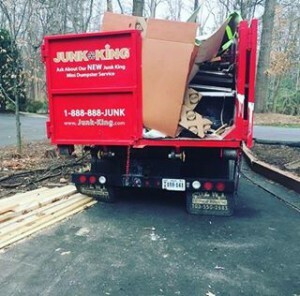 In the junk removal arena, there are a few so-called professionals who would like to consider themselves the gold-standard but when you break it all down, there’s only one junk hauling company that can be considered superior to all the rest. That would be Junk King Hudson Valley. It isn’t a prideful boast to call yourself superior if indeed you can live up to that title. A quick glance at some of the recent reviews posting by Junk King customers will show that this isn’t a boast. These junk haulers are given high marks for their promptness and friendly attitude. This is something that Junk King takes great pride in. The strength of a positive word of mouth from customers is what allows a business to thrive, even a niche business like junk hauling. The pair of movers who will be assigned to your appointment are going to be doing all the work for you. Even if you’re capable of moving a sofa with a little help, you don’t have to with Junk King on the scene. The other way that Junk King is superior is how they handle the disposal of all the things they collect. Junk King is dedicated to keeping the Hudson Valley as green as possible. That requires diverting junk away from landfills. Instead of dumping, Junk King looks for ways to recycle or donate. They’ve made partnerships with many organizations throughout the area that are equipped to handle this type of action. Even if it means driving out of their way to make these drop offs, Junk King wants to be a friend of the environment. Are you ready to put these junk haulers to the test? Call up today to book an appointment. You might even be able to score a same day pickup. You don’t have to look far for superior junk haulers in the Hudson Valley. You’ve found them with Junk King Hudson Valley. This entry was posted in Hudson Valley Junk Removal and tagged junk haulers, Junk King, junk removal on July 31, 2018 by Junk King. Last updated August 1, 2018 .